In a recent article featured on 91.5 KJZZ, Phoenix has been a part of the Infill Development Boom. According to Tim Sprague, who is the principle for Habitat Metro, a main reason for this recent surge is due to millennials and empty nesters wanting to be closer to the city without the maintenance of owning a single family home. 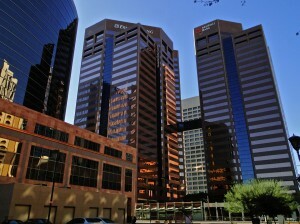 A main area where the resurgence is taking place is down town Phoenix. Many companies and developers are starting to revisit old building sites and finish where they left off when the recession struck. David Wetter, founder of Wetta Ventures stated that, “The recession has opened up everybody’s eyes about what’s missing in these older neighborhoods because everybody’s been focused on the suburbs.” Over the past few years, down town Phoenix has seen a lot more activity with City Scape and the expansion of the light rail, more and more people are wanting to be in walking distance of all Downtown now has to offer. If you are an investor and are looking to take advantage of the surge, contact Capital Fund 1 today for quick and easy hard money. Capital Fund 1 offers hard money loans with quick funding, no credit checks and no qualifying. Let us help you fund your next commercial, fix and flip, land, construction or buy and hold property loan. Contact Noah Brocious at Noah@capitalfund1.com or call 480-889-6100 and get started today!